My Thanksgiving – I Can Do It! I got LA to draw her thanksgiving when we went outdoors. It should have been 240612. I told her the wrong date 😦 But that is mommy’s fault. 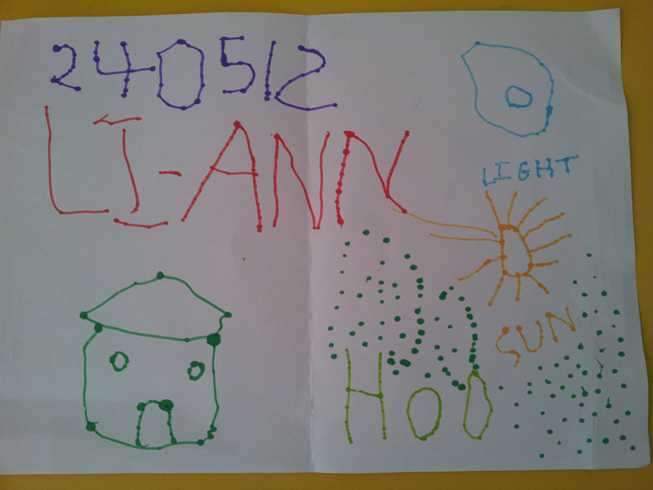 She did well writing the letters and numbers. I thank God for light, sun, trees and my house.